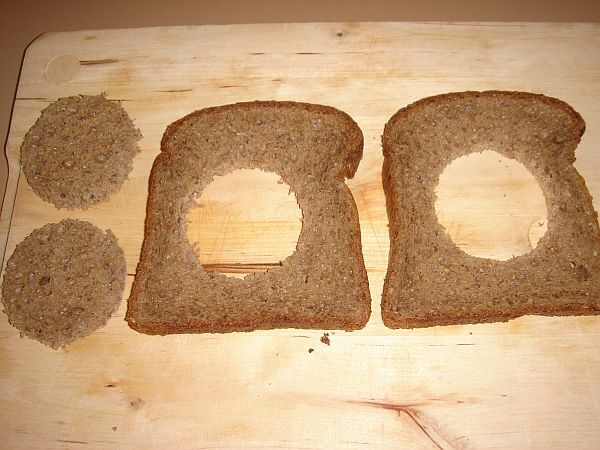 Cut a hole in the middle of your slice of bread - freestyle it or use a small glass or cookie cutter. Heat your butter and oil in a non-stick frypan. 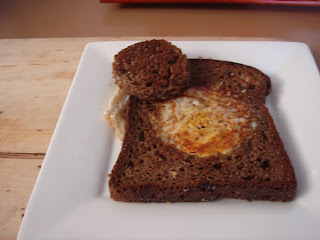 Slide your bread into the pan and coat both sides with the oil and butter. (Fry your 'hole' as well - no need to throw it away). Crack your egg into the 'hole' and fry to your liking. 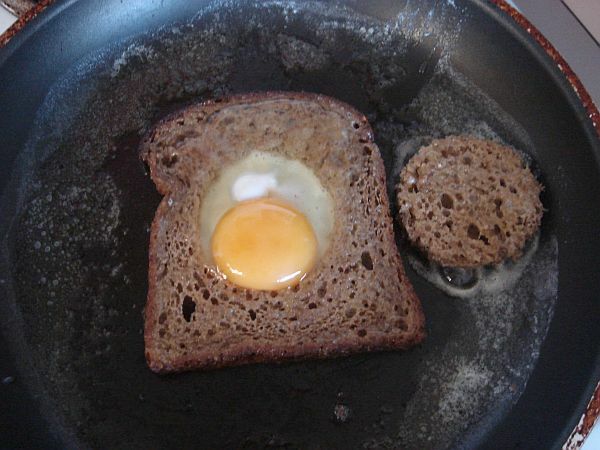 (If you like your egg runny, you may want to flip your bread to toast both sides before cracking in your egg). Season to taste. Cupcakes for a Cause - Or, Just Because!